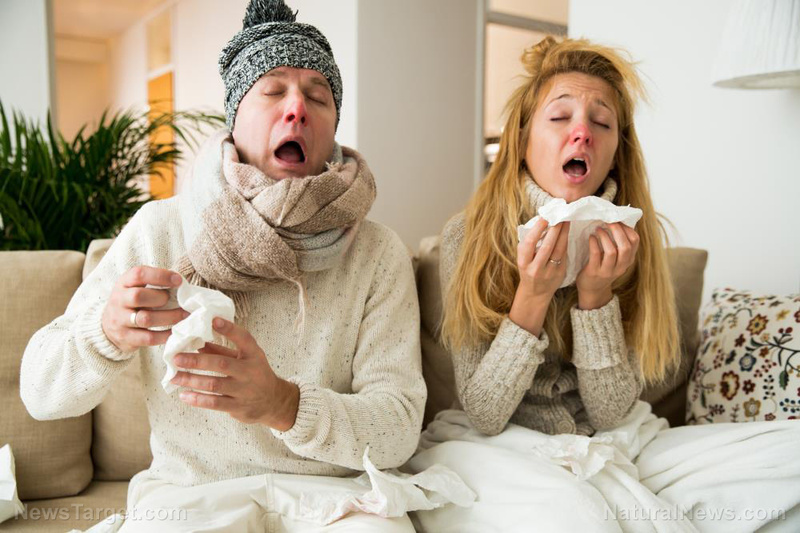 (Natural News) It’s that time of the year again: Flu season! Doctors, nurses, pharmacies and even well-meaning relatives may be pushing you to get the flu shot, but it’s important to note that these vaccines are by no means as safe, effective or free of side effects as the drug manufacturers and medical community would like you to believe. “The flu shot was proven to be the most dangerous vaccine of them all, when it was reported June of 2014 that 70 percent of all vaccine injury cases were settled for the flu shot, including one death,” noted Henry. A number of dangerous toxins accompany the actual vaccine when you get the flu shot, including mercury. Labeled as thimerosal on vaccine ingredient lists, mercury is added to the flu shot as a preservative. Each dose contains 50 micrograms – an extremely dangerous level of mercury for the human body. Scientific tests found that there are 51 parts per million of mercury in the Flulaval vaccine, an amount 25,000 times higher than the maximum permissible level of inorganic mercury in drinking water, as set by the Environmental Protection Agency (EPA). “As a comparison, this is a hundred times higher than the highest level of mercury ever tested in contaminated fish,” Henry warned. And ingesting this amount of mercury via injection is even worse than consuming it in fish, because it is inserted directly into the body, bypassing several of the body’s protective detoxification systems. Instead of trying to target individual viruses through vaccination, the better way is to boost your body’s own immune system for an overall increase in health. The first logical step is to avoid foods and drinks that add stress to the immune system, including sugar, processed foods, dairy, gluten, soy and alcohol. It is also important to maintain adequate hydration by drinking plenty of pure, filtered water. Increase your intake of fresh, organic produce and herbs, including those that have antiviral and antibacterial benefits like garlic and ginger. Be sure to get enough rest. There really is a better, safer and smarter way to beat the flu this year than the untested, unsafe flu vaccine. Learn more about surviving the flu at FluSurvival.com.